ABOUT TO COME TO HEIDELBERG? Cheap travelling, meeting the most inspiring people from all over Europe, getting involved in democracy, practicing and learning the basics of different languages, enjoying the sun, having fun at parties – doesn’t that sound like an experience you would like to make? 15 members of AEGEE Heidelberg got that opportunity during their visit of the Spring Agora Enschede 2017. 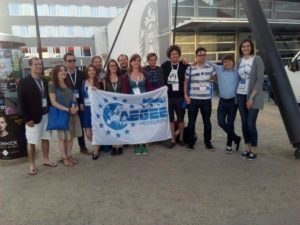 Here’s a short review on AEGEE’s second big international event 2017! 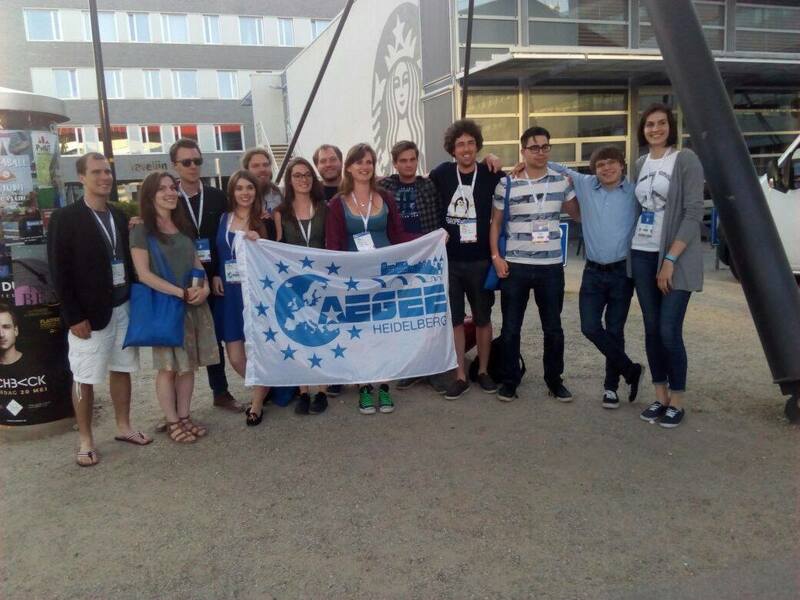 From the 23rd to the 28th May, over 700 AEGEE members from all over Europe travelled to Enschede, a city of around 158,000 habitants situated in the east of the Netherlands in order to take part in AEGEE’s biggest gathering: The Agora. 700 students from different European countries, studying different subjects, with a different background, who all share one passion: a borderless Europe. Before talking about Spring Agora Enschede in particular, let me provide you with a short overview about this event in general and tell you why attending it is so rewarding. The Agora is AEGEE’s supreme decision-making body and that’s why the activities during daytime are rather serious. It’s not just about partying! A typical schedule on an Agora is getting up at around 6.30 am (yes, you read that right), having breakfast and then attending the morning plenary. However, getting up so early is worth the effort. Plenaries are interesting for several reasons. For instance, candidates for the body of AEGEE Europe present their program for the upcoming legislative period (in the case of Spring Agora Enschede 2017-2018). But it’s not only about listening – during plenaries, everyone can get involved in the political discussions. After the plenary, the agenda continues with smaller groups, e.g. elections are held or expert AEGEEans set up workshops on topics like Erasmus+. There is really something for everyone. And in the evening, there are (theme) parties that you shouldn’t miss. For those of you who now see their beauty sleep in danger: Yes, sleep is a scarce luxury during an Agora, but during the day you’ll have pauses where you can get some rest and the parties aren’t obligatory. Within a couple of days only you gain valuable knowledge about democracy, Europe in general, and political organizations, especially the EU. You get to establish new contacts, to meet many new friends and to practice different languages. This is why you should definitely profit from an Agora! The next one will be in the picturesque city of Catania in Sicily (27th September – 1st October 2017), so join us quickly and speak up in Catania for your local antenna AEGEE Heidelberg! But before going into detail about the upcoming Agora, let’s stick with the past one in Enschede. The Dutch proverb says it all: Variety is the spice of life. In times like these where populism, racism, and border fences ply their dreadful trade, the significance of this very Agora becomes ever more important – and a general assembly with over 700 people requires careful and well-planned organization. Overall, AEGEE Enschede can be proud of themselves, one year of full dedication to this project was definitely worth the effort. Most notably was the opening ceremony in the time-honored theater, where even the director of the local University held a speech. I think it’s safe to say that all the participants enjoyed the program with the band, the dances and the choir (although some AEGEEans could have shown more respect shutting their mouths!). The parties were at the finest clubs and the transport by bus didn’t take too long. Also sleeping in the gym wasn’t so bad after all – it was not too cold and there were enough places to sleep for everyone. There is only one thing to criticize: AEGEEans can’t see the meatballs from dinner anymore ;-). Thank you AEGEE Enschede for your hard work that will make this Agora an unforgettable memory! For those of you who are still sceptical: take a look at the statements from our members! Copyright © 2019 AEGEE Heidelberg. All Rights Reserved. Designed by Zsófia Komáromi and Amelie Morweiser. We are not liable for any incorrect information on this page.